We are pleased to announce a new annual MSF Award category - the Monahan Award - recognizing a diverse and original oeuvre of marathon swims achieved over several years. This award is inspired by longtime Forum member @Jaimie Monahan, who has pursued an incredibly diverse, original, and prolific variety of swim challenges over the last few years (see https://db.marathonswimmers.org/p/jaimie-monahan). Criteria: Nominations may list up to eight marathon swims (solo, documented, unassisted) completed during the previous four years (2015 through 2018), and should emphasize the quality and diversity of swims above sheer quantity, with a focus on interesting, less common routes. Jaimie joins David Yudovin, Freda Streeter, and David Barra as MSF Award namesakes, and we believe this fulfills an important niche in our coverage of achievements in marathon swimming. On behalf of my MSF Awards co-admins Caroline and Elaine -- congratulations, Jaimie! 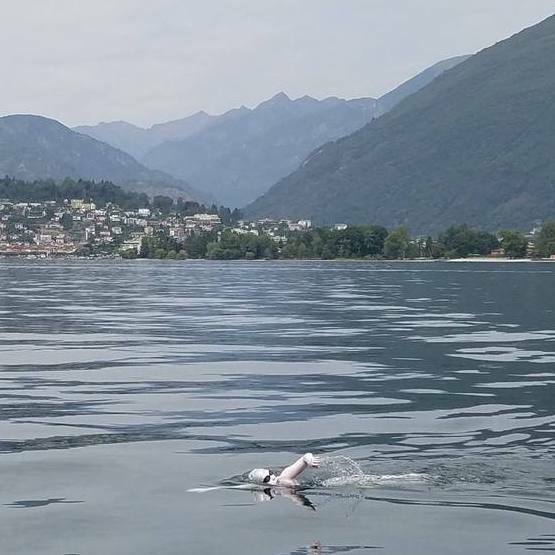 The MSF Global Marathon Swimming Awards, now in their seventh year, are the only peer-nominated, peer-voted awards for the sport of marathon swimming. Thank you so much @evmo , @emkhowley , and @thelittlemerwookie for this incredible honor! Since I was one of the few who knew about this new award before this afternoon, I'd love to start the ball rolling on nominations for this exciting new category! (The first swim of this challenge, Kate’s English Channel Swim, was in 2014 so falls outside the parameters of this award but I wanted to mention it just to round out the fulfillment of her goal.) I love how Kate created her own personal challenge instead of pursuing someone else's arbitrary list. I'd like to nominate Amy Appelhans Gubser for the Monahan Award. In addition to all of her amazing swims, Amy is also a frequent crew member, kayaker, mentor, and/or just general moral support to so many fellow swimmers. Her sense of zen is infectious and she is welcoming and supportive of everyone she meets. July 6, 2018 - North Channel #3, Ireland to Scotland (35 km in 16 hours, 45 minutes) during this 2-way attempt covering 88 km in 28 hours 55 minutes in 12C water with shoals of jellyfish throughout the entire swim. August 5, 2017 - North Channel #2, Ireland to Scotland (35 km in 15 hours, 32 minutes during a 2-way attempt) This 2-way attempt lasted 26 hours 11 minutes and covered over 75 km where she swam halfway home on the return leg after hours of battling thousands of jellyfish. Most swimmers can't imagine swimming the North Channel, but Caroline did it with ease and dared to try for an unprecedented 2-way crossing not once but twice! With these attempts she completed three crossings making her the Queen of the North Channel. In addition to her impressive swims, Caroline is also a moderator on the Marathon Swimmers Forum, a frequent observer for New York Open Water, and often attends Infinity’s “Hit the Wall weekend” and Cork Distance Week. Between 2015 and 2018, Cameron Bellamy completed over 8 major marathon swims on 6 continents in a huge variety of conditions and water temperatures around the world. I would like to nominate Craig Lenning for the Monahan Award. Between 2009 and 2015, Craig completed 5 of the Ocean's 7 swims, plus Tampa, Manhattan, Tahoe, the Farallons, Memphre, Flathead and Loch Ness, plus a few Horsetooth 10Ks. He completed the Triple Crown over a span of 51 weeks. He also was a pioneer in winter and ice swimming, and was part of the Bering Strait relay team. In addition to his own impressive resume, he has been a strong supporter of other marathon swimmers, helping found a thriving group of open water swimmers in an unlikely, landlocked location--Denver. Though Craig is swimming a little less these days and has transformed into a formidable mountain climber, I don't expect he's done with the water for good. Look for him to come back when the challenge is impressive enough to grab his attention.